A Daura Road Chief Magistrates’ Court in Kaduna on Tuesday remanded two men, Suleiman Mohammed, 35 and Faisal Usman, 22, in prison custody for alleged kidnap of their neighbour’s son. The defendant all residents of Ungwan Rimi in Kaduna, were brought to court on a two-count charge of criminal conspiracy and kidnapping. The prosecutor, Sgt. 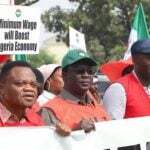 Yilgi Luka, told the court that Ahmed Ibrahim of Sabon Gari, Kaduna reported the matter at the Sabon Gari Police Station on Feb. 9. According to the prosecutor, the complainant was alerted by his wife at about 3:00pm that their 13-year-old son left home with Mohammed to an unknown destination without their consent. He said that a phone call was later received by the complainant in which he was informed of the kidnap of the boy. 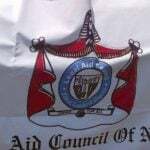 “The caller demanded for a ransom of N8 million, instead the sum of N1.5 million was paid through Mohammed, but the complainant’s son was not released. “The complainant subsequently reported the matter to police and Mohammed was arrested in connection to the matter. 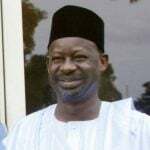 “In the course of interrogation, Mohammed confessed to have conspired with the other defendant and one Abubakar Fulani, now at large, for the kidnap,” Luka added. He further told the court that Mohammed had allegedly confessed to using the comlainant’s Honda Civic car to convey the abducted boy from Kaduna to Gidan Buma in Lapai LGA of Niger State. The prosecutor noted that the offences contravened sections 59 and 247 of the Kaduna State Penal Code Law 2017. 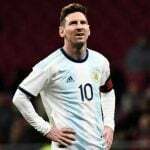 However, the prosecutor informed the court that the matter was brought before it only for cognizance, as the court lacks jurisdiction to entertain the case. Luka therefore urged the court to remand the defendants, to allow for their proper arraignment before a competent court. Magistrate Ibrahim Yero, ordered that the defendants be remanded in Kaduna Prison till March 19 to enable the police forward the case file to the State Director of Public Prosecution for advice. 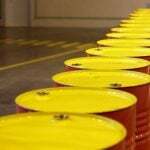 Oil markets fell on Thursday despite a surprise decline in U.S. inventories, but the price drops were tempered by a smaller-than-expected reduction in gasoline stocks and ongoing Organisation of Petroleum Exporting Countries (OPEC)-led supply cuts. 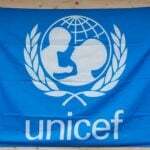 In view of growing outbreaks of vaccine-preventable diseases, the United Nations Children’s Fund says it will inaugurate a new global campaign from April 24 to 30. 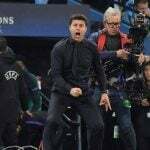 Tottenham Hotspur manager Mauricio Pochettino hailed his team as “heroes” after Wednesday’s astonishing Champions League quarter-final with Manchester City. 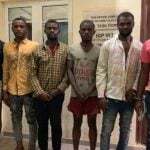 A seven-member notorious kidnapping gang have recounted how they killed an American soldier in Okigwe area of Imo State in 2017. 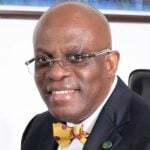 A Federal High Court sitting in Lagos, Southwest Nigeria has adjourned till May 10 hearing of all pending applications filed by counsel representing the Nigerian Bar Association, NBA President, Paul Usoro. 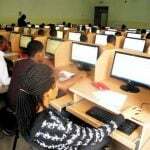 Thousands of candidates who sat for this year’s Unified Tertiary Matriculation Examination (UTME) would have their results withheld for engaging in examination malpractices. The Director-General of the Legal Aid Council of Nigeria, Aliyu Abubakar, has commended the administration of Governor Ifeanyi Ugwuanyi of Enugu State for the speedy signing of the Administration of Criminal Justice Law of Enugu State 2017 into law.